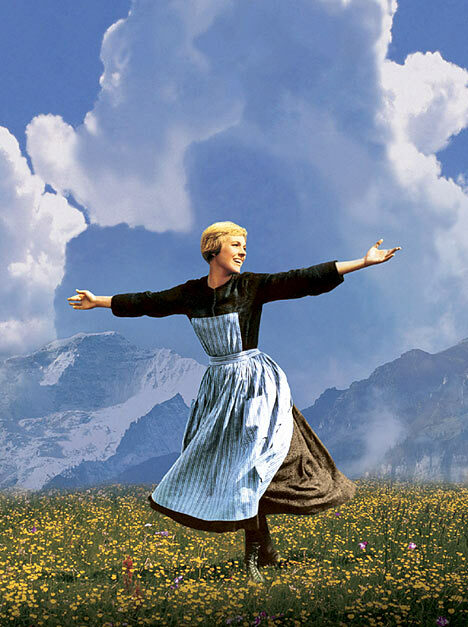 I thought I’d write about music in movies, starting with some feature films that use stories about music or musicians. Not necessarily greats or favourites but movies, that for one reason or another, interest me – and hopefully you. I’ll follow up in further blogs with some documentaries or concert movies. I might also discuss soundtracks as well. The Blues Brothers (John Landis 1980) could well be sub-titled ‘Nothing Exceeds Like Excess’. This one is a favourite and always has been. I love its anarchy, its energy, its lack of discrimination and its music. The idea of two habitual criminals on an Arthurian mission to reform their band and, in that cause, destroying a shopping mall, untold numbers of police cars, a tenement building, an Illinois Nazi rally and anything else that comes to hand, is too glorious to miss. I do hope that Landis wilfully overspent the budget rather than simply mismanaged. I like to think that he brought ‘the method’ to direction and his own excesses resonated within the movie. 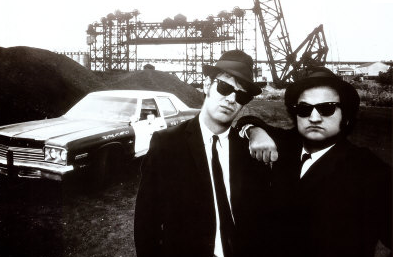 As Richard Corliss wrote in Time; “The Blues Brothers is a demolition symphony that works with the cold efficiency of a Moog synthesizer gone sadistic“. The music is memorable. I played in a band that did a Blues Brothers night at the Stokes Valley Cosmopolitan Club some years ago. I brought along my pork pie hat and Bill Bass sunnies and we did Time is Tight, Everybody Needs Somebody to Love, Boom Boom and the rest. A great gig, everybody up dancing and singing along. 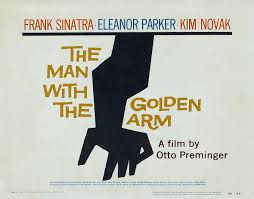 The Man With The Golden Arm (Otto Preminger 1955) was a landmark film both thematically and historically. The movie’s central character, Frankie Machine, played by Frank Sinatra, is a jazz drummer heroin addict who gets clean doing time but struggles to stay that way when released. Once completed, the Motion Picture Association of America (MPAA) refused to certificate the film because it portrayed drug addiction and breached the Hollywood Production Code. But Preminger insisted that drug addiction should not be marginalised by the film industry and that such stories, if well told, had artistic merit. He won the day, the Code was changed and the picture granted a certificate, thus paving the way for further examination of other previously taboo subjects such as prostitution and abortion. Elmer Bernstein wrote the distinctive main theme and it’s played by Shorty Rogers and his Giants – Shelly Manne on drums – as is the rest of the music. Control (Anton Corbijn 2007) is the director’s film debut. He had worked as a photographer with Joy Division and so knew them and the movie’s subject, frontman Ian Curtis. Also involved in the production were Curtis’ widow, Deborah, Tony Wilson, the owner of Factory Records, and band members, Bernard Sumner, Peter Hook and Stephen Morris. The result, I believe, is a moving, accurate portrayal of a unique musician. This is not the music of my youth, I have to say. 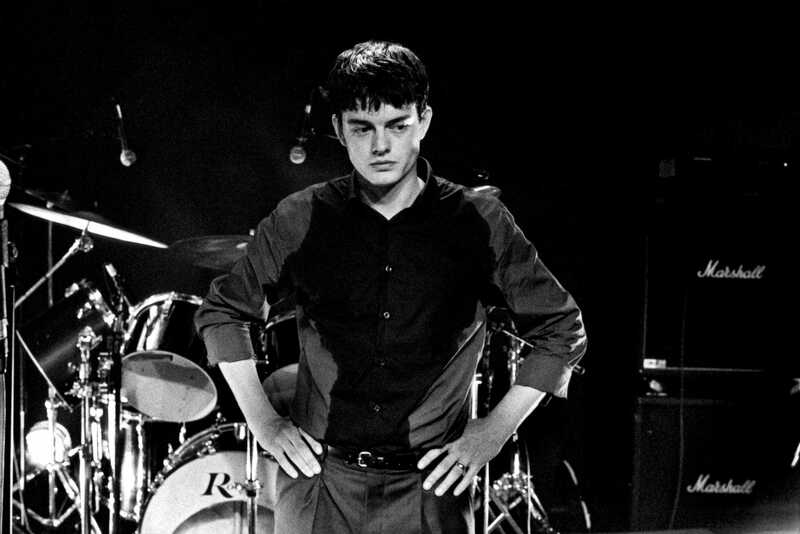 But this band, and Ian Curtis in particular, had a lasting effect on my musical sensibility. The power of their search for articulation, the hampered poesy and the instant mythology occasioned by Curtis’ suicide are more than just suggested by this account. ‘Control’ is an intimate study of pain and the creative instinct. I think that I’ll make this a two-part blog and write about a few more movies in the next couple of days. Closing trivia; ‘Still Crazy’ (Brian Gibson 1998) is a decent comedy about a fictional 70s band, ‘Strange Fruit’ that reforms some 20 years after its break up. Appearing in the film, tellingly, is Bruce Robinson, director of the legendary ‘Withnail and I’ (1987). There’s not a lot of people know that.